Every year, Science Magazine teams up with the National Science Foundation to host the International Science and Engineering Visualization Challenge. Participants are asked to enter photographs, illustrations, informational graphics, videos, and even interactive games to be judged on their visual impact and ability to communicate a scientific idea. This year the competition received over 200 entries from 33 countries, and the winners from each category are every bit as stunning as you'd expect them to be. We've gathered a handful of our favorites together here, but you should definitely check out all the winners, past and present, over on the competition homepage. 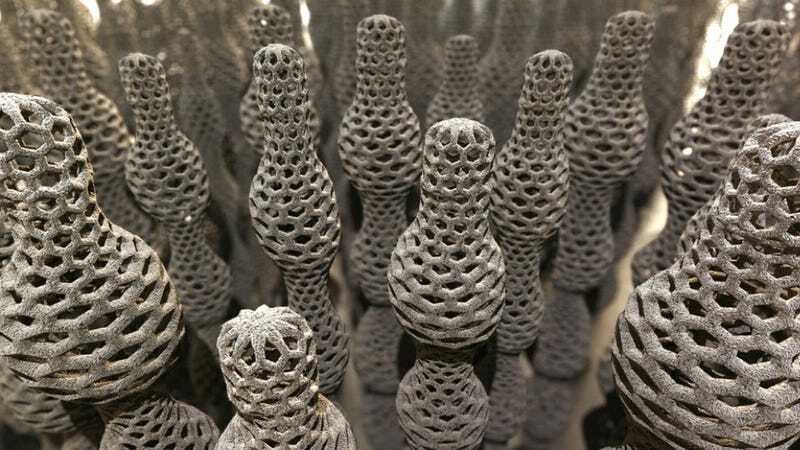 The image up top is of variable-diameter carbon nanotubes, and was created by University of Nebraska's Joel Brehm. It received an honorable mention in the Illustration category.